'Gambit' will be released on Valentine's Day 2019. 20th Century Fox have revealed the February 14, 2019, release date they had reserved on their calendar will be filled by the Channing Tatum-led movie, which Gore Verbinski joined as director just last week. Tatum's titular character, also known as Remy LeBeau, is a New Orleans-based mutant with special powers, including manipulating kinetic energy, and he has a deck of cards among his weapons. LOS ANGELES (AP) — After dipping to No. 2 last weekend, "It" has regained control of the North American box office in its fourth weekend in theaters. The movie beat out the new Tom Cruise film "American Made" and "Kingsman: The Golden Circle." But it was a close race that could shift when studios report actual weekend totals on Monday. What’s playing in Aiken for the weekend of Sept. 29? Tom Cruise stars as an unlikely pilot flying secret missions for the CIA. With Domhnall Gleeson, Sarah Wright, E. Roger Mitchell, Jesse Plemons, Lola Kirke. Written by Gary Spinelli. Directed by Doug Liman. 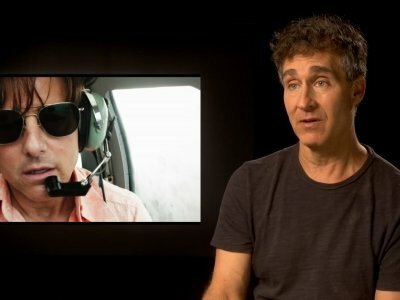 (1:55) R.
LOS ANGELES (AP) — Director Doug Liman loves spy stories and antiheroes, but he didn't anticipate having such a personal connection to the little-known story of TWA Pilot turned Medellin Cartel friend, drug smuggler and Drug Enforcement Agency informant Barry Seal, who became a central figure in the Reagan Administration's Iran-Contra scandal. Liman's late father, Arthur Liman, served as chief counsel to the Senate committee investigating the affair. DC Extended Universe boss Geoff Johns has hired Gerard Johnstone to polish the script for 'Justice League Dark'. The upcoming DCEU ensemble movie - which will feature an undercover superhero team comprised of occult characters such as Detective John Constantine, Etrigan the Demon, Zatanna, Swamp Thing, Deadman, Shade and The Changing Man - is yet to have secured a director after Doug Liman backed out of the project earlier this year. Daisy Ridley's new movie 'Chaos Walking' will drop in March 2019. The 'Star Wars: The Force Awakens' actress will team up with Tom Holland for the sci-fi adventure, and Lionsgate have revealed the film will go up against 'How to Train Your Dragon 3' when it is released on March 1, 2019, while 'Captain Marvel' is out the following week. A stark look at two American snipers pinned down in a baking Mideast desert as they hunt an almost mythical killer, “The Wall” “instantly intrigued” Aaron Taylor-Johnson. “I had to convince him how passionate I was,” Taylor-Johnson, 26, said in his Brit-accented English. Taylor-Johnson credits an amazing bit of luck for the hyper-reality of his performance. Doug Liman has revealed plans to make 'Dark Universe' an "intimate" movie. The 51-year-old filmmaker is at the helm of the upcoming DC Comics Justice League movie and he wants it to be a character-driven tale that feels "really personal". Emily Blunt has been confirmed for the 'Edge of Tomorrow' sequel. The movie's director, Doug Liman, says the 34-year-old beauty will reprise her role of Special Forces warrior Rita Vrataski for the second instalment of the action-adventure franchise along with Tom Cruise. The 51-year-old filmmaker also revealed that the follow-up to the 2014 blockbuster will be titled 'Live Die Repeat and Repeat', though he has no idea when it will hit the big screen due to the trio's hectic schedules. NEW YORK (AP) — The 12-year relationship between Angelina Jolie Pitt and Brad Pitt has been neatly bookended on the big screen. They famously became acquainted while playing married assassins in Doug Liman's 2005 action comedy "Mr. and Mrs. Smith." And they didn't star together again until last year's "By the Sea," a marital melodrama set on the French Riviera directed by Jolie Pitt and starring the couple as unhappy spouses.